Why Do People Get Audited by the IRS? 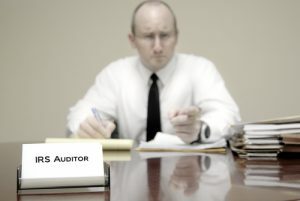 Contrary to popular belief, there is nothing inherently threatening or sinister about an IRS audit. During the audit, the agency will simply double-check your numbers to ensure that there are no discrepancies in your tax returns. Therefore, if you are truthful and conscientious, you do not have to worry. At times audits are completely random; however, the IRS usually selects taxpayers on the basis of suspicious or unscrupulous activity. As a rule of thumb, it is better to avoid subterfuge. If you are worried about being audited by the IRS this tax season, the following are some red flags that may land you in the hot seat. It is true that mistakes often happen in life. That being said, when you are filing your tax return, you must play close attention to all details, and be meticulous. It is likely that if you make simple mathematical errors, they will be noticed by the agency, which can lead to your tax return being audited. Therefore, prior to submitting your returns electronically or by mail, make sure you have furnished all the requisite information and that all the numbers add up. All taxpayers are entitled to a few well-deserved donations if they have made contributions to charities. That is common sense; however, do not make the mistake of reporting false donations. In case you do not have all the necessary documents that prove the validity of the charitable contribution, do not claim it. For example, claiming $15,000 in charitable deductions on a salary of $45,000 may raise some eyebrows. Instead of embellishing your charitable donations, report the correct sum that you have actually given to your favorite charities. Keep in mind that the IRS contends that dealing mainly in cash provides more opportunities for abuse of tax laws and regulations. As a result, business owners who run cash-intensive entities are automatically more prone to IRS audits – even when they are in full compliance. This is why car dealership audits, dental tax audits and restaurant tax audits are very common. This is an easy way to land in the hot seat. Many taxpayers try to increase their tax refunds by not disclosing all their income. Keep in mind, however, that the IRS gets the same W-2s and 1099s as you. The agency is aware of how much income you earned and reported last year and expects that you will report it accurately this year too. So, if you omit self-employment income, wages, bonuses or other monetary information, it is likely that you will contribute to your audit risk. If you are looking to avoid an IRS audit, you must be truthful and honest, and disclose all your income in your tax return. The phrase “tax audit” is sufficient to evoke fear in the hearts of most taxpayers – particularly those who have poor track records when it comes to compliance with the Internal Revenue Code. In case you are concerned about being audited by the IRS, it is better to consult with a reputable and experienced tax attorney at the earliest.